· Founded in year 1974. 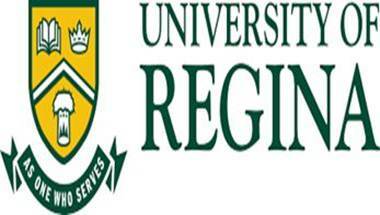 · The University of Regina has achieved top ranking among comprehensive universities in international research collaboration by Research Info Source. · Offering over 120 Undergraduate and Graduate programs. · Offering education to 14,000 students. · First university in Western Canada to offer co-operative placements and now offering Co-operative Education & Internships Program in more than 50 programs. · There are 4 libraries stocked with 1.2 million units, 220,000 e-journals/books and 104 computer stations. · Grade 12 (Maths is mandatory) with minimum 65% and above. · IELTS 6.5 with no band less than 6.0. · Four years bachelor’s degree with minimum 65% and above. · Master of Arts (English) - 7.5 overall and in each band. · Master of Arts (Media Studies) and Master of Fine Arts (Media Production) - 7.0 overall and in each band. · Master of Arts (English) - 100 with a minimum of 25 in each of the four components. · Master of Arts (Media Studies) and Master of Fine Arts (Media Production) – 93. Deadline to apply for Jan 2017 intake is 31st July 2016.